A postcard depicting two Sakalava women in the early 1900s. 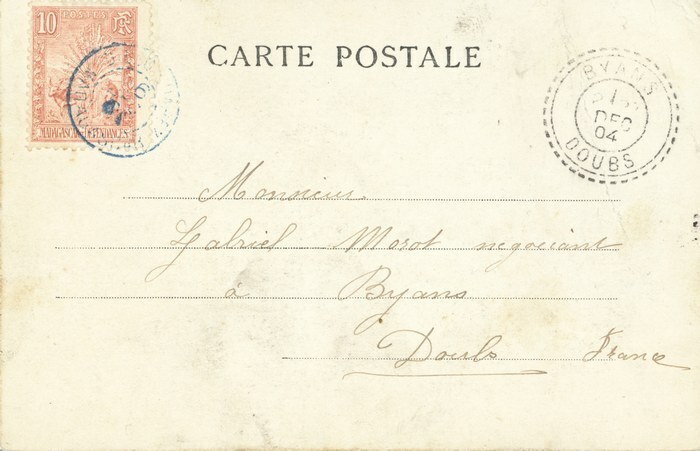 On the reverse, the card bears a 10-centime red definitive stamp issued in 1903 (Michel catalogue code: MG 63; Yvert et Tellier catalogue code: MG 67). 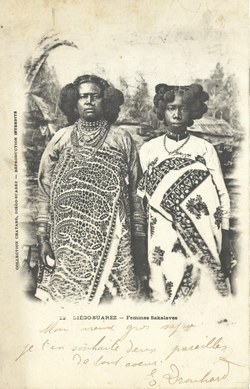 The card is postmarked in Diego-Suarez, Madagascar, and then again on arival in Byans-sur-Doubs, France, on 1 December 1904.